Pazam, kraviut, even rank, these are all dumb military-subculture ways to gauge one's self-worth on an entirely fabricated totem pole. Hopefully, in time you'll see that there are many different ways to serve the country, and that some of the most amazing feats are accomplished by 18-21 year-olds. A few months here or there are immaterial. Take it from an August 2005 vet. 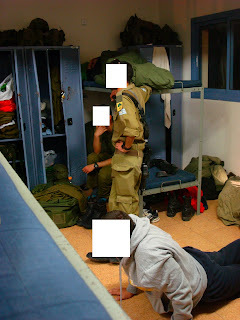 IDF is almost never never land. All kids no grownups. It is going to be hard being a college grad taking orders from an 18-19 y/o. But remember, you are equipped with life skills that the younger men lack, use them. The reserve is where the grownups are.